When I graduated from Ballymaloe, I took the helm in the kitchen of the Delphi Lodge in Connemara, where I spent eleven glorious years as head chef with the lodge’s inspirational owner, Peter Mantle. I had completely free rein in the kitchen and the larder. Delphi is a salmon-fishing lodge, so wild salmon was brought into the kitchen very frequently; the woods were also covered in wild garlic and wild mushrooms. 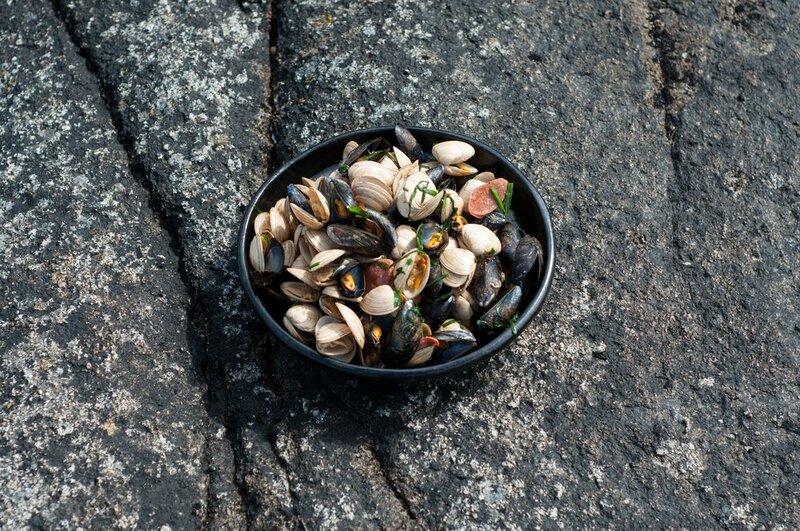 We had fresh fish from the coast, mussels from Killary Bay, woodcock shooting in the winter, free-range eggs, … The lodge’s kitchen was just like the kitchen I had grown up in, but now I was the chef. It was a magical time for me, and I developed as a chef and found my own way. I started filming the online cookery programme Breaking Eggs with my children, Jake, Iseult and Milo, as a way to encourage parents to involve their children in every aspect of food— growing, gathering, and cooking—from an early age.